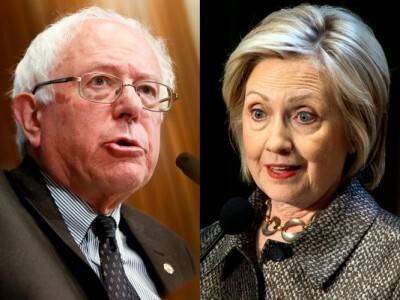 The Democratic Party primary has revealed a sharp divide in the nation’s progressive movement. The national leaders of a wide range of unions and activist organizations have endorsed Hillary Clinton while state and local chapters, and many rank-and-file members, support Bernie Sanders. The 1.6 million-member American Federation of Teachers (AFT) became the first national union to weigh in on the Democratic primary last July when it endorsed Clinton. The endorsement was met with a petition calling for a retraction and thousands of Facebook comments supporting Sanders. AFT Vice President Jerry Jordan told WhoWhatWhy that the endorsement was based on interviews the union conducted with Clinton, Sanders, and Martin O’Malley. (O’Malley has since dropped out of the race.) Republican candidates were invited, but none responded. Additionally, a nationwide survey was sent out to AFT members in June, and among the 1,150 respondents, 67% said they supported Clinton. It’s worth noting, however, that Clinton officially announced her campaign in April, just two months before the survey, while Sanders announced the following month in May, when he lacked the name recognition he currently enjoys. There’s no question Brooklyn-born Sanders, Vermont’s junior senator, enjoys a significant home-field advantage in New England: the Vermont chapter of the National Education Association and the New Hampshire chapter of the Service Employees International Union endorsed Sanders, while the national leadership of both unions endorsed Clinton. But it’s not just upper New England. When the League of Conservation Voters, an environmental advocacy group, backed Clinton last November, the reaction closely mirrored that following the AFT’s endorsement. There was a deluge of complaints on Facebook and criticism from the rank-and-file, many of whom pointed out that Sanders did better on the group’s “scorecard” than Clinton did. It seems clear that the fight over endorsements is an extension of the familiar media narrative of Clinton versus Sanders: the pragmatist versus the idealist, the frontrunner versus the underdog, and the well-connected insider versus the perennial outsider. “I think there’s a difference in how people view presidential races depending on their vantage point,” said Johnson, the VT AFT president. “The vantage point of a lot of grassroots activists has to do with broad questions about what kind of society they want to live in and which candidate is telling the story best about the society they want to envision.” From this perspective, Johnson said, Sanders appears to be the more attractive candidate. In the end, an undemocratic endorsement process rewards the connected insider and stacks the deck against “insurgent” campaigns like the one Sanders is running. While that might benefit the establishment candidate in the short run, it also ends up alienating the base — and the Republican primary shows that taking such a path can lead to chaos.